June is supposed to be a relaxing month, with little to do in a rose garden or rose nursery. Well, for us it turned out to be a very busy time. The roses kept on blooming despite an early frost (-2º C) for a few mornings. It was enough to affect frost tender plants, and bring the flowering of the dahlias to an end. Because most of the roses carry their flowers higher up, they just kept on performing, with some huge blooms. For some time, we have wanted to upgrade our main irrigation system, replace old pipes with larger ones and automate the valve system. Since this would entail moving a lot of the container roses, which would not be watered for a week, it meant that June was the only month that this could be done. It meant getting a TLB machine and digging meter-deep trenches and lifting concrete roads and pathways. It took us just over a week to install the new pipeline and connect it to the sprinkler system. The roses seemed to have liked the period of water withdrawal and are now ready to be pruned. The new system is much more efficient, using less water and less electricity which has become a major expense. Last weekend I travelled to Kokstad in East Griqualand to give a talk and pruning demo to the local garden club. The area lies at the feet of the Drakensberg where winter had arrived with the grass being a proper winter buff-brown colouring. Amazingly enough, roses in slightly protected spots still carried nice blooms. Most gardeners will delay the pruning to mid August. Although I do not believe that pruning in July will make much difference since the roses will simply remain dormant. There is a risk however, that a patch of warm weather in July will encourage the eyes to swell and even sprout, which makes them vulnerable to damage by a late frost. Unpruned roses would also sprout, but at the tip of the stems, which would be pruned off in any case. The next stop was in Hillcrest near Durban where climbers, trees and roses were still flowering amazingly. Here, it was to advise gardeners to enjoy the rose blooms as long as possible, but still prune by early August. Returning home I could still pick a few superb specimen blooms for my desk. Pruning demos of free and bookings are not necessary. 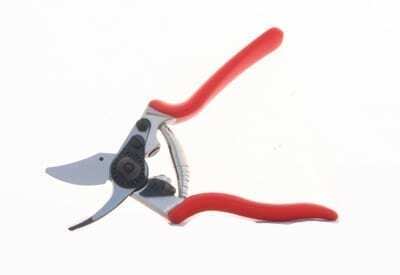 We stock all the pruning and aftercare products required. As at any of our demonstration you may bring your pruning tools for service and sharpening to be done during the demonstration for a R20.00 tip to our staff members. We offer this for gardeners living far away from our rose centres. Order your bare root roses that will be dispatched by Speed Post. The SA Nursery Association’s publication “Life is a Garden” wonders why the month of July has not been re-named to Pru-ly! Indeed the chore of pruning in July is still foremost in the minds for gardeners. July is the indeed the best time to prune roses and deciduous fruit trees. If the roses still look good it can be delayed to the end of the month. Pruning in August in temperate climate zones will delay the spring flowering. Wanting to change what I repeat on pruning over the years I leave it to my rose growing colleague, Paul Zimmerman, living in Carolina, USA to say the same in the clear American way. If you can, spend extra money for good tools. They are easier to work with and will last a lot longer; making them cheaper in the long run. Let the way your rose grows determine how you prune. Some roses annually put out new canes from the base. You can prune these harder. Some, like the old Tea roses, take time to build a structure and reach their size. These need a lighter hand. Always start by pruning out dead wood. Why? Because it’s dead and you can’t make a mistake. Gets you warmed up! Take out weak or damaged growth. Just trust your gardener’s instincts to recognize branches that aren’t full of vigour. This also better helps you see the plants structure. Never worry about making a mistake. It’ll grow back. With Garden Roses don’t worry about outward facing bud-eyes and five leaflet leaf sets. Just prune to strong, healthy growth at your desired height. And if you don’t know what a five leaflet leaf set or a bud-eye is don’t worry about it. You don’t need it. Don’t try to keep a tall rose short. It won’t be happy. If you want a rose in a particular spot to be short then plant a short one! As a rule of thumb don’t reduce the height of most garden roses by more than 1/3. Every now and then you will take out an old cane that no longer produces growth and blooms. We label that kind of cane “bloomed-out”. Take it out at the ground level and you’ll be amazed at the new growth you’ll see in spring. Fresh growth equals more blooms! Pruning isn’t just for “pruning season”. Feel free to shape your roses all season long like you would any other plant in your garden. While you are deadheading is a great time. In the end trust your gardener’s “instincts”. You know what you are doing – so do it. I feel I need to harp once again on the aspect of root competition. A few years ago we built a raised bed next to a half circle wall at our farm entrance and planted roses in our best potting soil mix. They flourished to begin with but the growth diminished year by year. We added more compost, fertilised and made sure that they received extra water by hand held hose pipe, over and above the normal irrigation, but to no avail. When I dug down in the bed it was so filled with roots that the TLB tractor had difficulty in scooping up the soil. The roots belonged to an Australian pine (Casuarina) that grows a few metres away on the other side of the wall. I never considered a Casuarina to be so very water thirsty. Normal pine trees and roses go well together. I had a deep trench dug at the back of the wall to cut off the roots that came in under the foundation of the wall and shall keep the trench open and re-plant the ‘South Africa’ rose plants. This is just to highlight how such severe root competition can be and how it can catch you unaware. In a garden situation planting roses in containers or large plastic plant bags and sinking them into the ground near trees does give satisfaction. However, it is not always root competition, but often simply soil compaction that prevents the roses from flourishing despite receiving all the care, water and fertiliser. Again, very recently when called in for consulting I experienced this. Fully expecting root encroachment for non-performance in a 25-year old well cared for rose bed I dug out one of the bushes. The problem then became obvious. Over the years the added compost raised the level of the bed considerably. The original roots of the understock were now about 50cm deep and with very little air getting to them, resulting in them becoming inactive with no hair roots. Instead the rose progressively made its own roots higher up and these did not provide the power that was hoped for. If the compost had been dug into the original soil this would not have happened. In another garden I found a similar problem. However, in this case the irrigation water never went down to the original roots and the bush was forced to make its own roots at a higher up level. That means if you were not happy with the performance of your roses dig a hole next to a bush and check out the friability if the soil and fix the obvious problems. After pruning water well especially if the rose beds had been allowed to dry out. Spray with Ludwig’s Cocktail or just with Ludwig’s Insect Spray at double the recommended rate at 100ml in 10litres water. The oily solution will seal the cuts as well. Fertilising and mulching may be done now, but could well wait for end August. As it is Otto’s birthday month and the rose is still putting on blooms, we have decided to make it this winter’s rose of the month. This rose honours him for popularising the use of big open rose blooms for wedding bouquets and table decorations! Perfectly shaped hybrid tea buds open to massive, deep cerise pink, shaded red, blooms. The outer petals reflex as they unfold with the inside showing the typical full incurved petals. Blooms are carried on strong, tall, upright stems – perfect for the vase. The plant will easily grow to shoulder height, covered in robust foliage, providing many blooms for show. 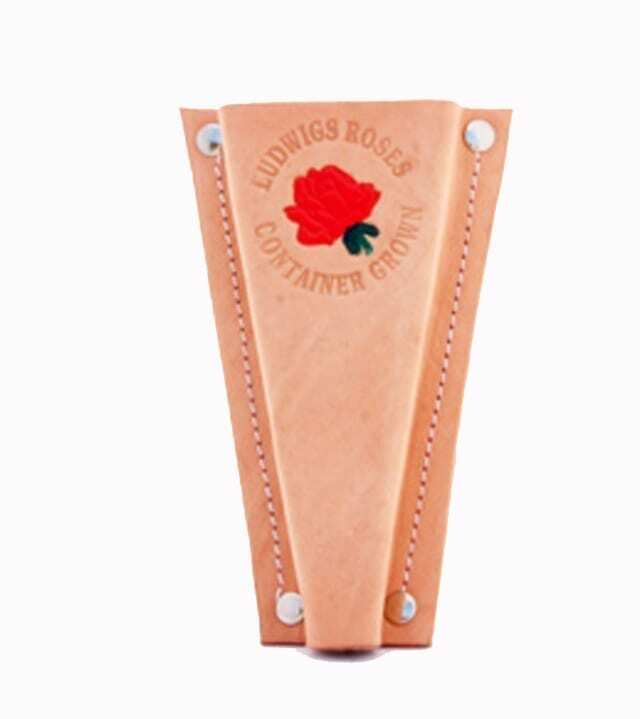 Proceeds of this rose will go to Otto’s chosen AIDS foundation. This is the month when I present winter pruning demos at our rose centres. Entrance is free, no need to book. See above for dates & times. Test your endurance in running, shooting and mountain biking. The roses are pruned and resting by now however join Anja Taschner for a passionate talk on landscaping with roses. Cost: Free but bookings essential: Enjoy a free rose tea or coffee at Spiced Coffee before the talk. We are stocked up on planting mix & peanut shells and all other gear you might need for pruning. Join us for the pruning demo and stock up on our planting mix & peanut shells or a great pair of secateurs. We have just received a delivery from the main farm! Come and take a selfie on our Rose Chair. We will soon move to our new home close by with an easy approach to admire the roses. Pamela Taschner takes you on tour in Italy – invigorating your taste fantasies & visiting historical rose gardens. Marco Guisti & Claudio Bernadoni will teach you true Italian cooking whilst enjoying the serenity of a true Tuscan villa lifestyle.